Situated in a traditional Sheffield pub, we serve hearty hand-pressed pies and generous homemade sausages, nearly 100 whiskies and all the best local ale you can shake a hop at. Broadfields in Nether Edge has aircon. The pub is a family friendly pub, it serves food. 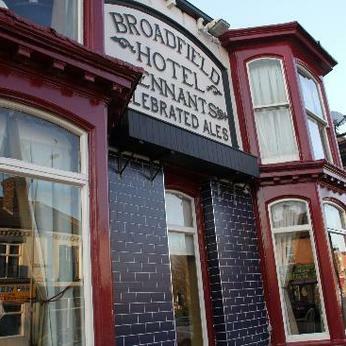 Broadfields has an outside area. The pub serves real ale, it has a smoking area. It's our Supper Club today and chef Pete will be cooking up his finest Indian inspired dishes - we have a couple of spaces left, don't miss out!